Every species—whether fish, whale, or endangered sand fly—has a population-growth rate that depends strongly on the existing size of the population. Two laws, the Marine Mammal Protection Act (MMPA) and Endangered Species Act (ESA) require managers to rely on population-growth rates—which enable identification of species-specific thresholds—to analyze population health and make regulatory decisions. These population thresholds allow agencies to craft non-arbitrary management and conservation strategies for endangered species and marine mammals. 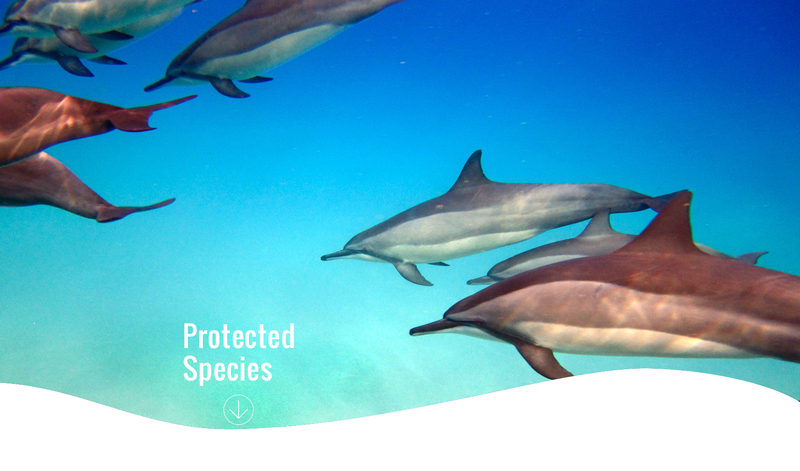 As a result, many aspects of protected species management are already threshold-based. Protected species management also triggers the National Environmental Policy Act (NEPA). Within the protected species management context, federal actions that trigger environmental review under the MMPA and ESA include take reduction plans and take permit or authorization decisions. You can further explore how the science of ocean tipping points can be applied generically to the NEPA environmental impact analysis process here. This comparison emphasizes that while tipping points concepts are not brand new to this arena, protected species management can nonetheless benefit from more systematic incorporation of ecological thresholds into management decisions.